We want to make it easy to contact us. To request an appointment or ask us any questions, fill out the form below to send us an email, call us at (865) 769-0283, or come see us at our office at 103 Suburban Rd., Suite 101-D, in Knoxville, Tennessee (just off Kingston Pike). We love to hear from people interested in learning more about hearing loss and from our patients and their families. 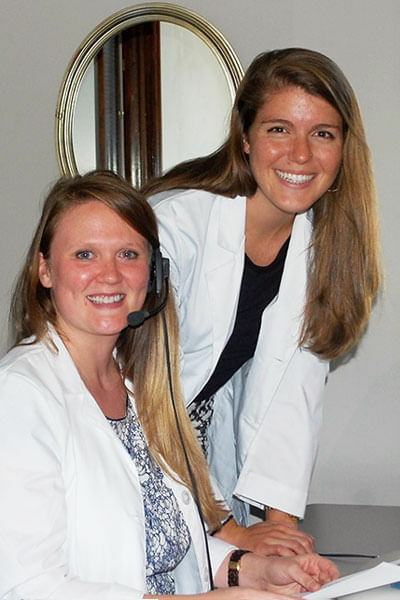 Thank you for choosing Bridgewater Balance and Hearing as your Knoxville audiologist. Bridgewater is located right across the street from Ted Russell Nissan and Ted Russell Ford on Kingston Pike (major highway), off I-40 / exit 379 Walker Springs, Bridgewater Road Exit. Our Knoxville location services many surrounding cities: Loudon, Lenoir City, Oak Ridge, Alcoa, Maryville, Athens, Powell, Halls, Fountain City, Gibbs, Clinton, and Sweetwater. Bridgewater is located right down the road from LeConte Hospital and just past TVA Credit Union on Middle Creek Road, right off Veteran's Blvd and Dolly Parton Parkway (major highways). If the hospital is on your left, Bridgewater will be on your right, right past TVA Credit Union. Our Sevierville location services many surrounding cities: Pigeon Forge, Seymour, Gatlinburg, Newport, Townsend, Dandridge, Jefferson City, New Market, Morristown, and Maryville. Bridgewater provides hearing healthcare services out of the Harrogate Family Practice offices, located on Westmoreland directly across from the entrance of Lincoln Memorial University. We aim to make every patient experience easy and convenient, which is why we have all of our office forms accessible to download here. Print these forms, fill them out at home, and bring them in to us without spending time in the waiting room! We accept Visa, MasterCard, and Discover at each of our locations. Ask us about our financing options.